It's been beautiful to witness the generosity that blooms from the seeds that Nipun plants with each visit to London over the years, and we were so excited to welcome him back during the first week of November in 2016! Last year, Nipun's visit to London left us with many unforgettable moments of inspiration, whose ripples are touching people's lives today. He planted many seeds of goodness during his time in Europe: from the one-day retreat on Inner, Outer and Collective Well-being in conversation with Satish Kumar, to spontaneous ice cream circles, to a visit to Guernsey, which inspired folks to start a Karma Kitchen experiment on the island and more. 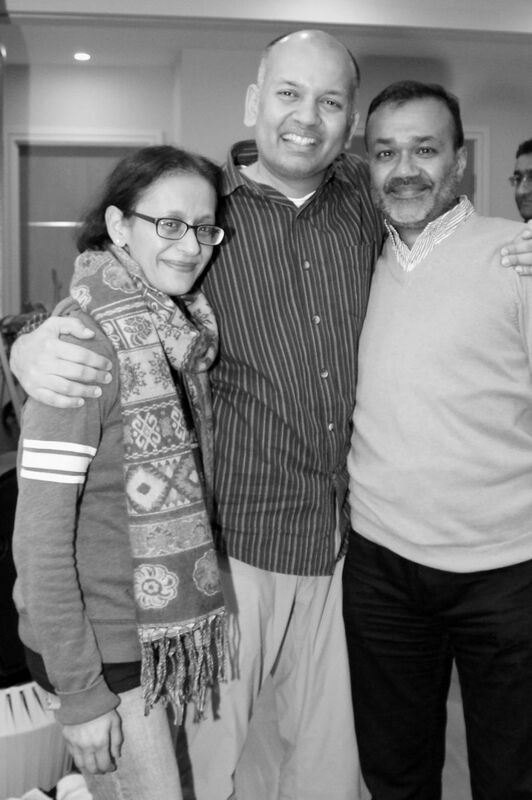 When people in the London ServiceSpace community heard that Nipun was coming back again this year, many folks got in touch as they felt moved to hold space and host gatherings to share Nipun's inspiration with others in the communities they are anchoring. Since last summer, preparations were underway for each of the five labour-of-love events in London, with hosts planning every detail so thoughtfully in order to create a space where generosity, compassion and kindness could blossom naturally. 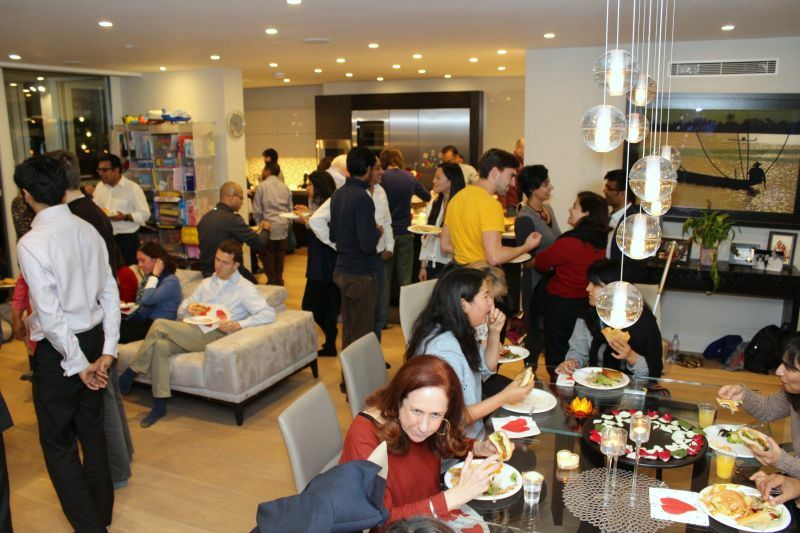 Most of the gatherings were booked up weeks in advance as people felt genuinely called to ignite the generosity in their own hearts and nourish their intentions by listening to some inspiring stories and messages from Nipun's journey over the years. T he 4-day inspiration marathon :) was off to a wonderful start on the evening of Friday, November 4th when Anuja and her team from Young Jains hosted a talk with Nipun called "Being the Change, Changes the Being: Leading with Inner Transformation" at Westminster Business School. 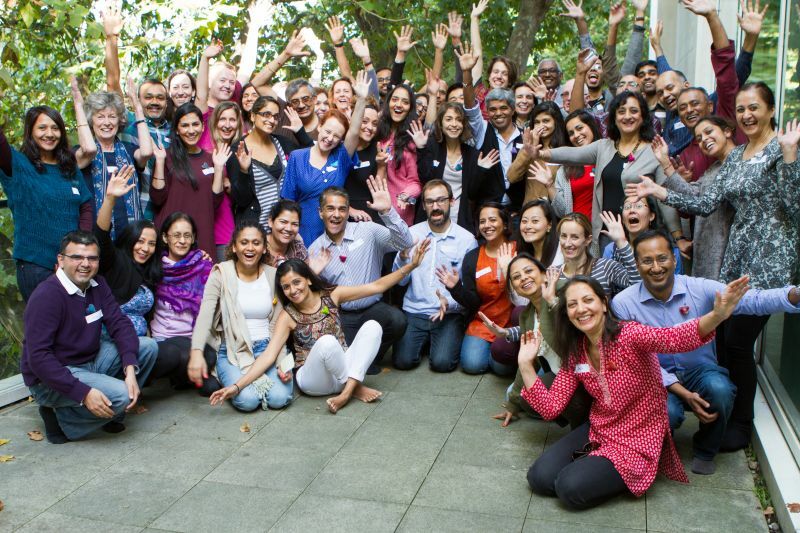 The seeds for this gathering were planted four years ago when Anuja started attending Awakin Circles at our home in London, and met Nipun at one of these gatherings when he was visiting in 2012. In this inspiring blog post, Anuja shares a glimpse into her journey with Awakin Circles and how she integrated these circles into her family life when she was getting married. 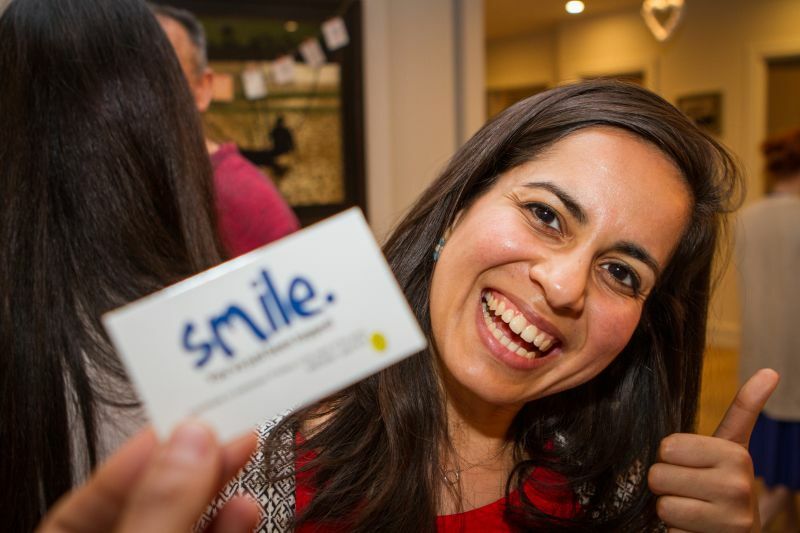 Now, in 2016, as the current president of Young Jains, Anuja organises several different types of events throughout the year, and reached out as soon as she heard Nipun was going to be in London. Plans were made to host a talk on how his inspiring approach and innovation incorporate the practices of generosity, selfless service and and gratitude to empower thousands to change themselves by leading with inner transformation instead of focusing on external impact, and how in doing this, we change the world one heart at a time. It was a wonderful gathering of mostly young professionals, who were deeply moved by Nipun's stories and the way he lives his own life. As Nipun opened his talk with stories of Arun Dada and Meera Baa (he learned she had just passed away), who have never sold their labour in their entire lives, everyone in the audience leaned in and tuned in to listen deeply to story after story that opened their hearts and awakened their own inner calling to cultivate generosity in their own lives. Many people stayed after the talk to ask questions and learn more about how they, too, can live a life that is in deep alignment with their values and serve the world in ways they feel called to. There have been many ripples from this gathering including young people coming along to Awakin Circles and even a new gathering we are planting seeds to host in the new year with a young enthusiastic school teacher, who attended last year's retreat with Nipun and hosts a Kindness Club at her school -- she is now feeling inspired to host Kindful Kids Circles in London! We plan to anchor the circle with an inspiring children's book and engage in dialog and activities with the children on how to practice that particular value in their lives. The next morning, on Saturday, November 5th we were off to join 120 changemakers at the "Happier World Conference," where Shamash had invited Nipun to share a talk "Kindfulness is Mindfulness 2.0" together with a workshop "From Leadership to Laddership". Shamash is part of the Awakin community in London, participated as a fellow in a Laddership Circle, and is the co-founder of The Museum of Happiness. He teamed up with Chi to host this conference with the intention of bringing people together to reflect on ways they can transform themselves from within to, in turn, transform the world around them and lead happier lives. In this blog post, "His Life Is An Experiment In Generosity" Shamash shared how his own journey of service has been radically transformed over the past year, as he's participated in Laddership Circles, attended Awakin Circles in London and California, witnessed Karma Kitchen in action in London and immersed himself in gift economy experiments of his own with the Museum of Happiness, which is a labour-of-love offering to the community! As we arrived at the conference venue overlooking the river Thames, there was a buzz in the air as we were welcomed with hugs and huge smiles from the organisers and a sense of joy filled the air :) Harpal had organised a pop-up Kindness Cafe, which is an interactive acts of kindness experience where she leaves fun supplies on a table inviting people to leave a kind note for someone, gift someone an inspiring little something, and engage in small acts of love. The main conference room was lined with adorable drawings by young children from a school about what makes them happy. A meditation room had been set-up with a circle of cushions, away from the main hall for anyone who wanted to tap into the stillness within themselves from time to time throughout the day. And the place was filled with changemakers who were deeply inspired to share their gifts with the world. Shamash opened the conference by sharing a bit about his own journey that led to him feeling called to organise this particular gathering, which created a wonderful context for the rest of the day to unfold. He gave a very warm introduction and welcome to Nipun and shared that his inspiration for organising the Happier World Conference was fueled by the many ways in which Nipun's journey had impacted him personally and created shifts that deeply transformed his life this past year. Nipun offered, as always, some beautiful insights and shared amazing stories about how we can design for generosity, sharing examples of how he uncovered some of these nuggets of wisdom from his own experiences with ServiceSpace. In the afternoon, the conversation deepened as Nipun hosted a workshop on the shift from leadership to laddership and how to incorporate these values and ways of being into any community or organisation. Early on Sunday morning, November 6th, Nipun and I drove up to Ani's home for a Youth Circle she was hosting for the first time. Over the years, Ani, who hosts Awakin Circles in Mill Hill, has been involved in projects that bring young people together to explore community and service. Recently, following her participation in Laddership Circles and the ServiceSpace Coordinators' Retreat in Bolinas, she was feeling inspired to bring young people together again! Following a few phone calls and email exchanges, the seeds were planted for her to host a circle at her home in Mill Hill for young people aged 16-25 featuring Nipun as a guest speaker. Ani's intention for the circle was simple: to hold space to engage in conversation and share inspiring stories of how small acts of generosity and kindness can plant seeds of goodness in ourselves and the world around us. In the spirit of creating a safe and open space for authentic reflections for the younger generation, parents weren't invited to be part of the circle :), but of course were warmly welcomed to join for lunch afterwards. This seed in Ani's heart blossomed into a beautiful circle of sharing with nearly 20 young people, who reflected deeply on their own intentions and acted with kindness and compassion in their daily lives. Each share flowed so authentically, ranging from gratitude for this reflective space, to cynicism about how kind people really are, to story after story about small acts with great love. From one person's story about gifting her brand new jacket to a homeless person she had become friends with while at university, to another person's story about noticing that someone in his course at university was always being left out and going out of his way to connect with her personally and make her feel included, to another who learned to cultivate gratitude for the smallest and simplest moments in life. My reason for walking is because I believe we must take strong and serious action in order to create a new vision for our future. That we must be active and sincere in our intention to relate to the Earth and to each other. I believe that we must be the change. And to show my faith in the Earth and humankind and myself to adapt, to overcome and to be generous with ourselves. If we do not, then I believe we will perish. It is my intention to act in alignment with my values and my vision - and to make the journey in the spirit of trust, faith, and willingness. Ani shared some beautiful reflections from the day and an amazing story about a ripple of kindness in her neighbourhood, which you can read all about in her blog post: Do Nothing Circles. Following the Youth Circle at Ani's, Nipun and I headed over together to Harrow Arts Centre, where we were warmly welcomed by Sanjay and Mita, who were hosting an event "In Conversation with an Unsung Hero: Nipun Mehta". Seeds for this gathering were planted last year when Sanjay and Mita joined us for the retreat at our home with Nipun and Satish Kumar and were deeply moved by their experience. Following this, they felt called to share this gift with others and organised this labour-of-love offering to connect friends, family and members of like-minded community organisations with the spirit of service and generosity by sharing Nipun's journey with 300-400 people. As we entered the venue, the stage arrangement took our breath away -- so simple, beautiful and elegant all at once. A Buddha statue sat squarely at the centre adorned with a stunning mandala on the floor in front of it and two meditation cushions on raised platforms on either side. It created the perfect context for a beautiful conversation to unfold during that afternoon, as Anuja Shah led the audience in a conversation with Nipun through his personal journey of service. One particular story that left people deeply inspired and nearly in tears was about an incident that took place at Nipun's family home in Santa Clara. Several years ago, they had their home fumigated and to do this they have to put a whole tent around the house and you can't access it for a certain number of days. In order to ensure that the chemicals did not contaminate any of the food, and especially all the food Harshida Aunty buys for Wednesday meditations, they loaded up one of the cars in the garage with all of the dry food items to keep them isolated. Upon returning to check on the house, they realised that someone had broken into their home while it was being fumigated as they found clothes strewn across the floor and drawers emptied. After checking around the house, they concluded that nothing major seemed to be missing, that was, until his father walked into the garage and discovered that their entire car itself was missing! Naturally, this would cause quite a bit of panic and distress for most people to have your car stolen from your own parking garage. However Nipun's Mom's reaction was so humbling and full of so much wisdom we can all learn from -- she said that's okay, I had bought all that food to cook for others anyways so hopefully it will be put to good use. Nipun shared how this type of reaction isn't just something you can will, but rather it's something that comes naturally when you cultivate a heart of compassion and generosity, which we all can do in our lives by practicing stillness and selfless service. Immediately following the talk, it felt like half the audience had queued up to speak with Nipun to ask about what they can do to incorporate these values into their own lives. Ripples have been set in motion in many directions following this gathering and one of the beautiful ripples that the local London ServiceSpace community will be on the receiving end of is that Mita and Sanjay are planning to start hosting Awakin Circles at their home in Harrow starting in January 2017! Mita has shared a bit about her journey and the event she and Sanjay hosted at Harrow Arts Centre in this lovely blog post titled "In Conversation with Nipun Mehta." It's a blessing to be able to host an Awakin Circle as the last of several gatherings over a 4-day period as it's a beautiful opportunity to invite noble friends to come together to go deeper within -- sharing one hour of meditation followed by a circle of opening up our hearts and listening mindfully to each other and ourselves all at once. On the evening of Monday, November 7th, the living room of our flat in London was filled to the brim with 65 guests, as we held space for silence and emptiness at the centre of the circle. After the bells chimed and the group was welcomed to our home, the mic traveled around the circle and each person introduced themselves. It was so inspiring to hear a glimpse of each person's journey that brought them to the Awakin Circle -- many shared they felt deeply called to serve and were hoping to get some ideas they could incorporate into their own lives by listening to Nipun share stories from his own journey. And of course, as Nipun does, he shared many stories that moved people to tears about what he's learned through his own experiences of cultivating these values in his own heart and mind. The theme at this final gathering which concluded his London trip, was about what he has learned by trusting in the wisdom of circles. Nipun shared insights that have emerged from nearly 20 years of hosting Wednesday meditation circles at his family home in Santa Clara and encouraged people to come together in this way to hold space for each other to practice stillness, listen deeply and send ripples of goodness out into the world. It was special to have Nipun's 19-year-old younger cousin Neil serendipitously join us that evening, as he is currently studying abroad in London from NYU. It was the perfect opportunity for Nipun to share a few stories about our first-ever ServiceSpace interns, Dillan and Neil :) and to shine a light on Neil's famous 10th birthday celebration where in lieu of having a party, he and his friends gifted free car washes to others in the neighbourhood and then went on to tag people with ice cream and Smile Cards afterwards at Baskin-Robbins :). 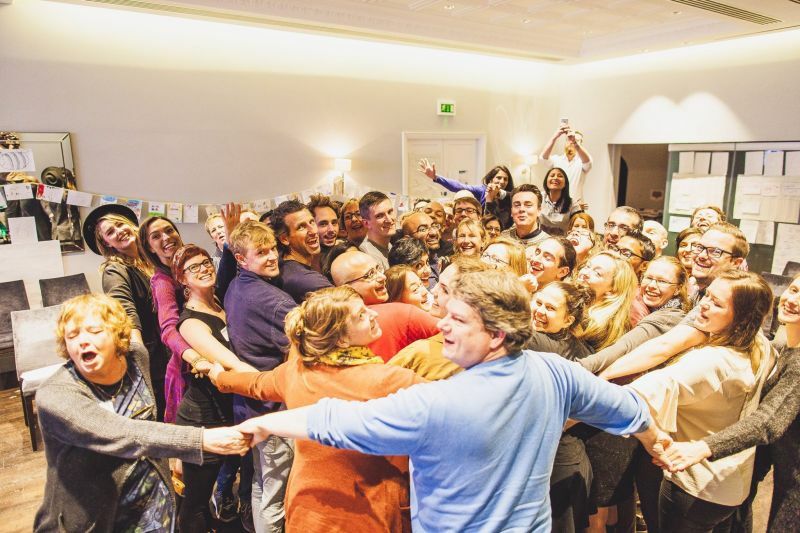 Nipun's 4-day inspiration marathon concluded with a giant 65-person group hug as the final circle sang along to Nimo's Grateful :) As the evening continued on over dinner (and many amazing dessert offerings! ), people engaged deeply in conversation to learn more about each others' journeys, exchanging smiles and hugs and filling our home with a palpable feeling of love and inspiration, which will create many ripples. Thank you so much again for yesterday. As I reflected back on the 4-days Nipun and I spent together, watching him interact with so many different communities of people from all walks of life in so many different settings from keynotes with presentation slides to living room circles, I was reminded of something that I relearn time and time again -- Nipun's life is his message and not only does this message inspire people but it moves them deeply to the core to want to serve and cultivate generosity in their own hearts as a way of life. We are so grateful that Nipun has been able to visit us here in London on many occasions over the past few years to plant seeds in people's hearts and inspire a community of noble friends to continue supporting each others' journeys. It's so beautiful to see how the ripples keep on rippling, and never stop with one visit, one circle or one person. We look forward to welcoming him back for more in 2017! Thank you so much for seeding and then sharing the magic with us! Wow, The Nipun World tour rolling through! So inspiring to see all the ripples of kindness and light spreading throughout the land.